“The European Commission must now focus on developing a strong pollinator initiative that boosts bee-friendly habitat and helps farmers cut pesticide use,” it said. Bayer, in a separate move Thursday, announced it would sell its clothianidin-based seed treatment brands Poncho and VOTiVO to fellow German chemical firm BASF. 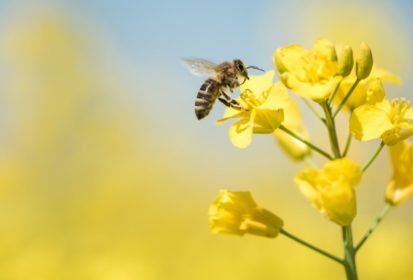 In Canada, two of the three neonics in question, clothianidin and thiamethoxam, are up for renewal of their conditional registrations as seed treatments and foliar- and soil-applied pesticides in field crops. Health Canada’s Pest Management Regulatory Agency in December proposed to renew those registrations to the end of 2019. For imidacloprid, PMRA in November proposed a three- to five-year phase-out of all agricultural uses and a “majority of other outdoor uses” of the product, citing the chemical’s presence in waterways at levels harmful to aquatic insects. Final decisions from the PMRA on both proposals are due later this year. — Reporting for Reuters by Philip Blenkinsop; includes files from AGCanada.com Network staff.